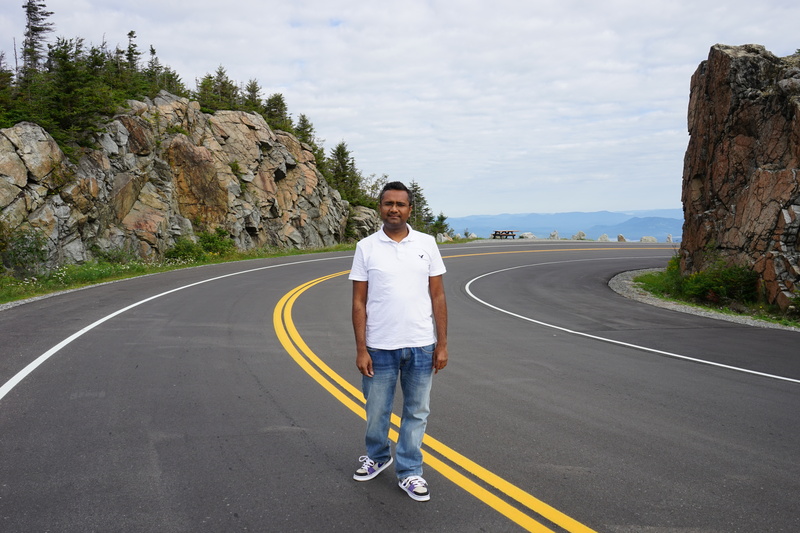 I had mentioned in my earlier post that we went up the Whiteface Veteran’s Memorial Highway on our recent visit up North in the US. 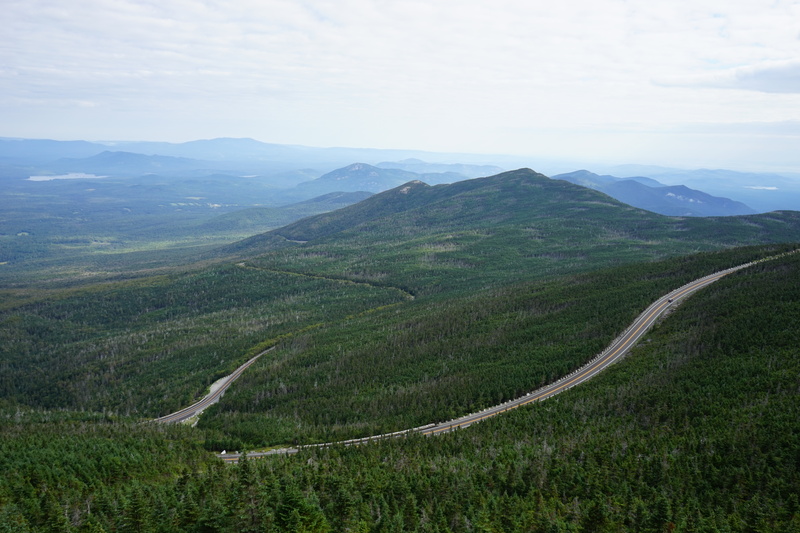 The drive is probably the easiest in America, as opposed to Mount Washington Auto Road that we took last year. 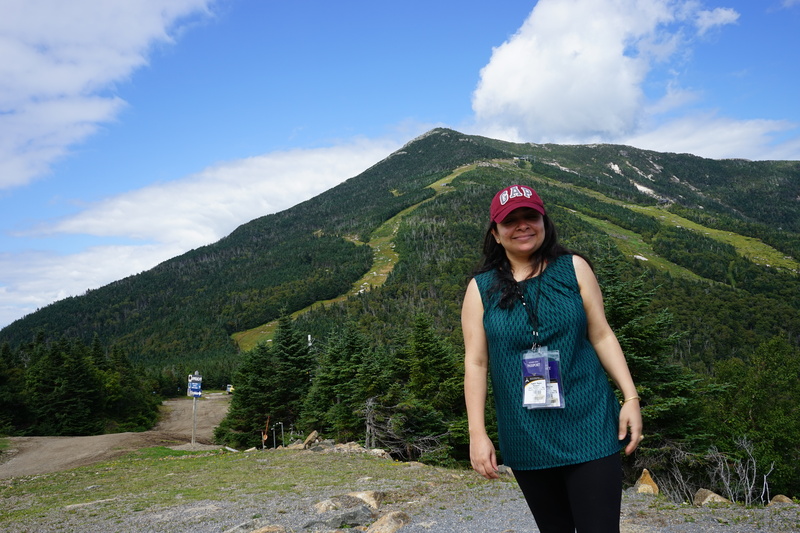 We took the Olympic Region Passport (provides you discount if you want to cover many activities together) from Lake Placid, a village famous for its 1932 and 1980 Winter Olympics. Lake Placid also hosted the 1972 Winter Universiade and 2000 Winter Goodwill Games. 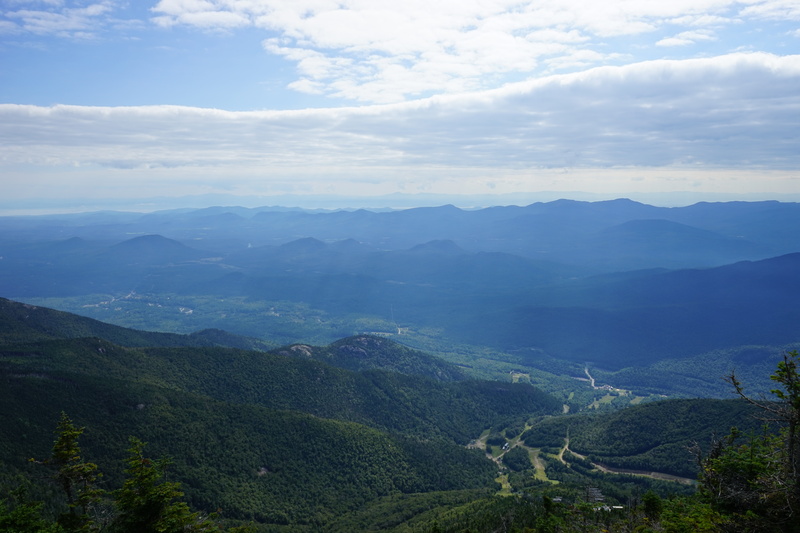 Whiteface Mountain – just 13 miles from Lake Placid – is New York’s fifth largest and stands at 4,867 feet. 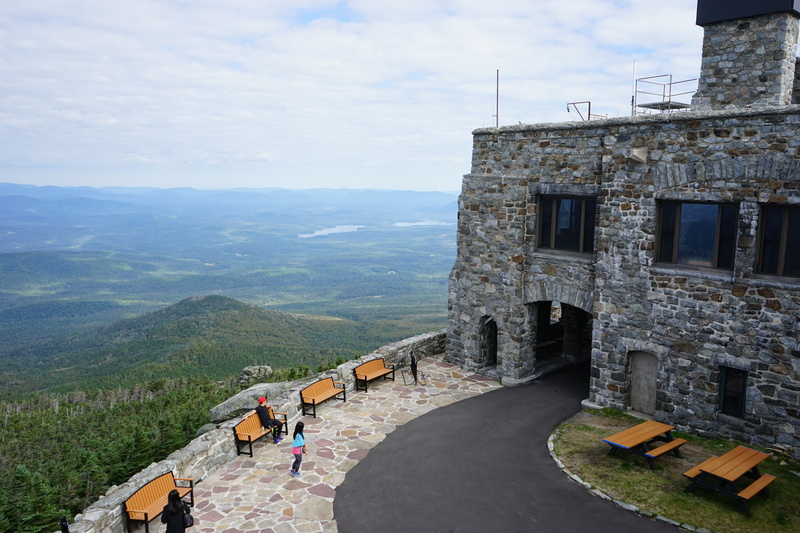 It provides a spectacular 360-degree view of the Adirondack Region and even glimpses of Vermont and Canada on a clear day. The parking area is at an elevation of 4,600 ft and from thereon one can either take the elevator or walk, as we did. 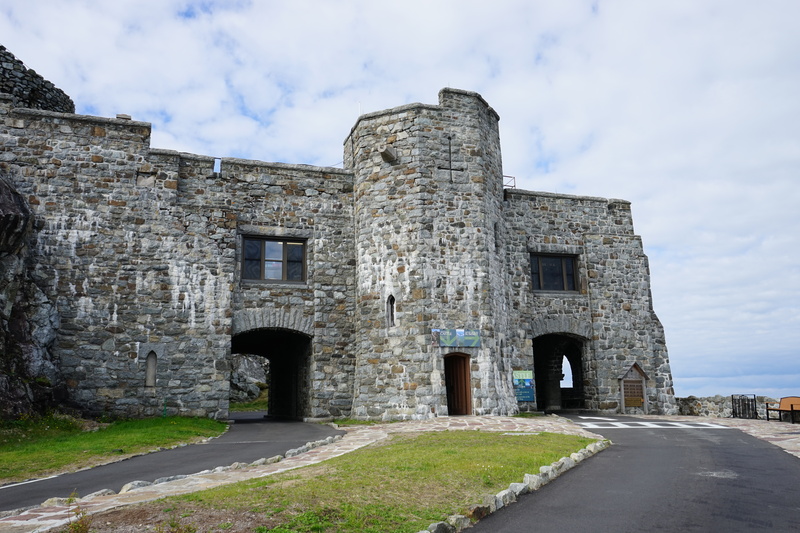 Next to the parking is also a Castle built from native stone and a restaurant and a gift shop. 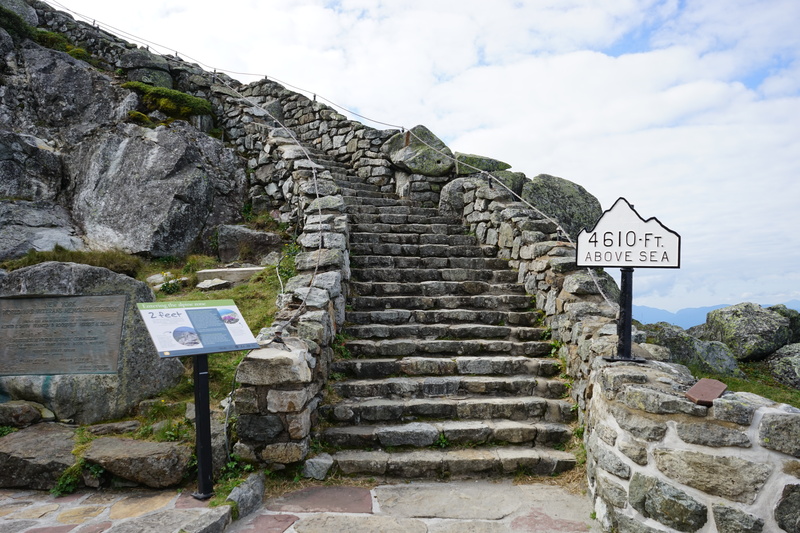 The walk of just 267 feet further from the parking area was pretty challenging as it was lined with boulders, with railing on both sides. Even with running shoes, it was slippery at times. I am glad we took we chose to walk up (as opposed to taking the elevators) as the views were breathtaking! < Previous A Symbol of Love – Boldt Castle! Reminding me much on the Alps here! Perfect shots there, my friend! Thank you for sharing and taking us all with you in your journey there. I always do, my friend! Always do. Lovely pictures. It must take forever to get through those mountains. Hahaha…there are 46 such ‘high peaks’ in that region. It could take you months, if not years, to just cover them! Looks like a great place to visit and experience!! Yes, if one is nature lover and enjoy mountains! I loved the view and you captured it so well. The last one is a great capture! Thank you, Amy. I love it when on peaks. Nice location and pix do justice. Great pictures Alok with informative write up !! WOW!! Honestly I loved the images. captivating!!! Really breathtaking views. Excellent pics. Must be a very nice, quiet place to visit and be with Nature!! That’s what i liked about the place…serene surroundings and breathtaking views! Those are some real awesome views! Agree, one of the best i have seen! Thanks for taking us along on your trip! Spectacular scenery. What state is it actually in? Yes, it is. 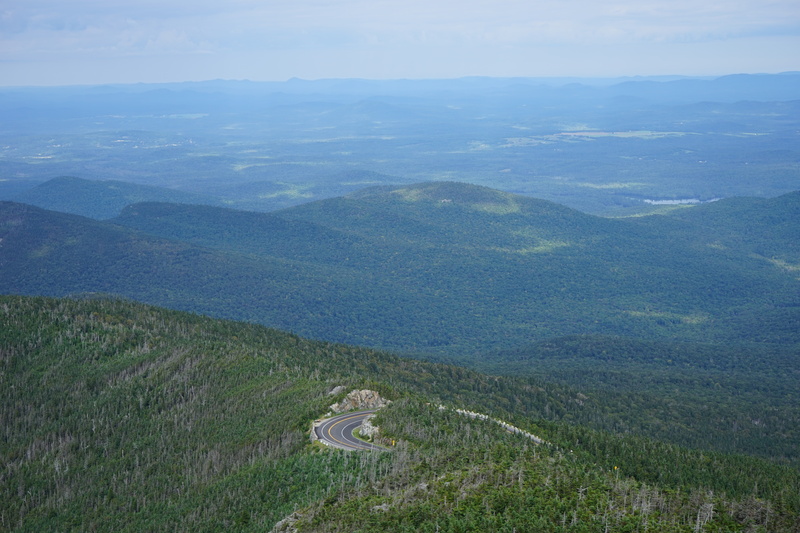 It is in Adirondack region of New York. Great pictures.thanks for sharing! 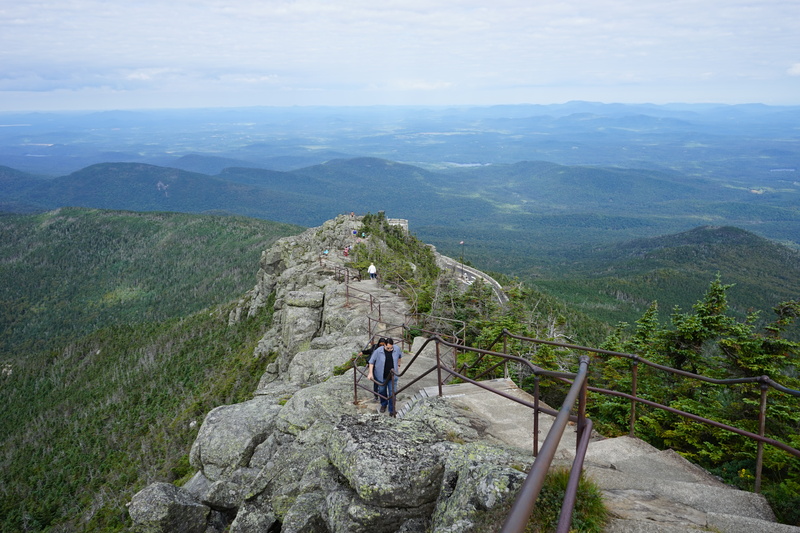 I never knew about this place even though I did go the Lake Placid region a few years back…will try to explore it if I happen to visit the Adirondacks again. Lake Placid is not just the village itself. There are many activities to do or spots to visit close by, not just these mountains…i will post about them in due course of time. Breathtaking views. Thanks for sharing. Really gorgeous views from the top. Welcome, Somali! When we plan a trip to New York we need to visit here.Lovely views. a planet that we can never replace. You are correct…we have so much of a beauty around (still) and we are not caring for it much. You have captured amazing views of the place. Thank you for appreciating, Rajesh! Lovely photos – looks like you hit up some very photogenic spots! Oh yes, i would agree! Gorgeous view man. You are making good use of your camera. Stunning! By the way what is an Olympic region passport? Fantastic place. Equally brilliant and lively images Alok ji!